Beautiful unique pod. Glamorous glamping. Sittuated between lovely fruit trees, with its own private deck area and fire pit. Separate secure entrance for private car parking with CTV in operation. The pod has its own shower and toilet. Kitchenette full fitted with toaster, kettle, 2 ring electric cooker, microwave, fridge, George foreman, crockery and cutlery, iron and hairdryer. 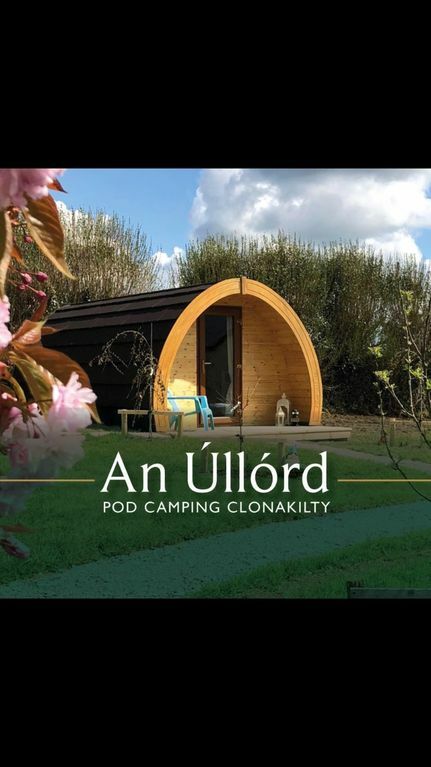 Has a beautiful reading area within the pod to relax and we even have a little busy box with board games to amuse you in the heart of the West Cork countyside.